War rages, but the women and children of Liverpool’s Dr Barnardo’s Home cannot give up hope. 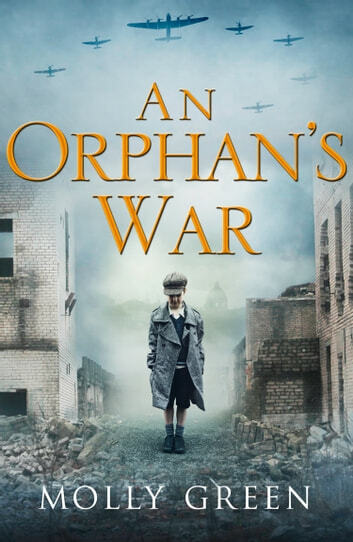 An Orphan’s War is a gripping saga about love and loss on the Home Front. LIVERPOOL, 1940When her childhood sweetheart Johnny is killed in action, Maxine Grey loses more than her husband – she loses her best friend. 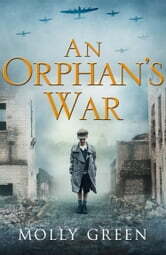 Desperate to make a difference in this awful war, Maxine takes a nursing job at London’s St Thomas’s Hospital. A BROKEN HEARTMaxine takes comfort in the attentions of a handsome surgeon, but Edwin Blake might not be all he seems. And as the Blitz descends on the capital, Maxine returns to Liverpool heartbroken and surrounded by the threat of scandal. A BRAVE SPIRITWhen offered a job at a Dr Barnardo’s orphanage, Maxine hopes this is the second chance she has been looking for. And one little boy in particular helps her to realise that she needs the orphans just as much as they need her… A gripping story of love, friendship and hope in the darkest of places. Molly Green is an exciting new voice in saga fiction, perfect for fans of Nadine Dorries and Katie Flynn. This was an amazng story I just could not put it down. Her story line is so exciting . Can't wait to read all of her books.